Part of this 30-day challenge is about tweaking my mornings to be more mindful. Specifically, it means incorporating a meditation in my routine. My alarm sounds and I turn it off before walking into the living room in a zombie state. Am I awake? I'm still not sure. Immediately I lie on the rug to hold some nice easy spinal twists and then perform whatever stretches I feel like I need. Often it's cat/cow, knees in chest and/or a forward fold. Next I sit upright with a straight spine, legs crossed and meditate. I've been trying different meditations during this 30-day challenge. At first I tried to meditate in bed to reeeaaaaally make it the very first activity of the day... but I kept falling asleep. Fail. Next, I downloaded several apps with guided meditations... which were OK, but I've found I prefer to do my own. Then I close down my eyes and bring my awareness to my breath. A lot of guided meditations lead you to focus on something in particular; a mantra for the day. In theory this sounds really wonderful but I actually prefer to simply focus on the breath to bring my awareness to the present first thing in the morning. It's easy, it's gentle and it makes me feel rejuvenated and focused for the day. 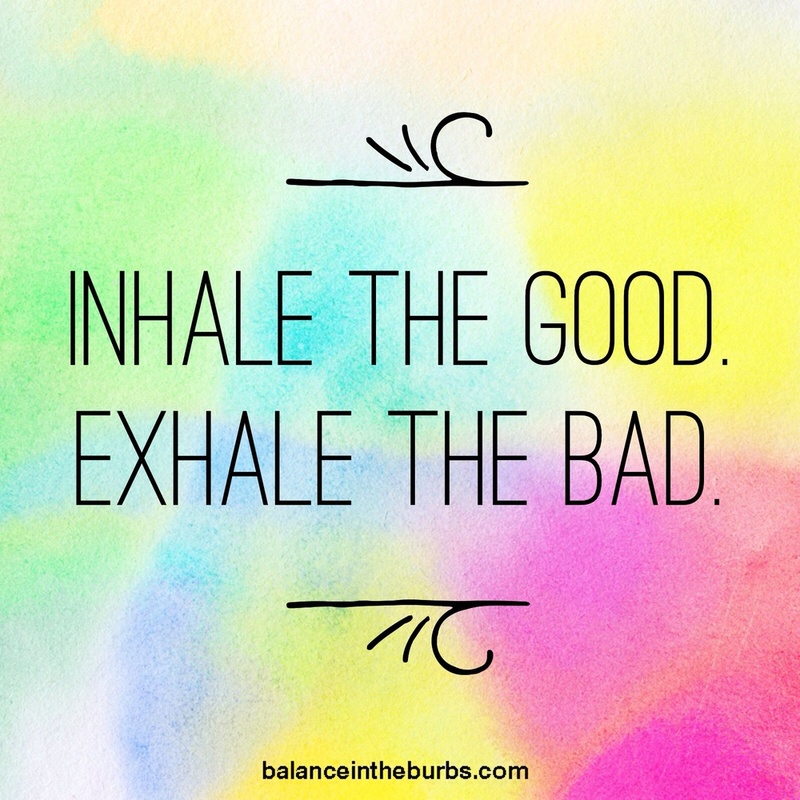 Inhale the good and the new, exhale the bad and the stale. I also find it helpful, while breathing, to narrow my close-eyed gaze to my third eye. After I feel sufficiently focused (generally about 7-10 minutes), I get up and make some coffee. It's interesting to notice how different I feel from a few minutes ago. When I first stumble out of bed I crave coffee and breakfast. After meditating, I feel much more nourished. But — coffee. I know, I know. Coffee. Call me a horrible yogi if you will, but I like it. I love practicing yoga in the mornings. Our bodies are stiff from sleeping all night and it's such an energizing way to start the day. I practice hot yoga about four mornings each week, and either do an at-home yoga practice, run or walk my dog on the other mornings. Either way, some form of movement helps me bring all the pieces together to feel whole... otherwise some part of me seems to stay in a stale zombie state. Of course, breakfast. My go-to breakfast is a green smoothie with spinach, banana, almond milk, Sunwarrior protein powder, ice and maybe some berries if I'm feeling crazy. Sometimes I crave something else, like peanut butter on toast or oatmeal. Regardless of what's on the menu, I make sure to practice eating mindfully, focusing on the food and enjoying each bite/sip before I shower and start to prepare for the rest of the day. It's been fun to experiment with a new morning routine during this challenge, and I like this routine much better than the TURN-OFF-THE-ALARM-AND-RUN-AROUND-LIKE-A-CRAZY-PERSON-BECAUSE-YOU'RE-LAAAAATE method I was using before. I'm sure this morning will evolve, but right now I'm content with it and it's working. I'm always curious to know what works for other people so I can try to incorporate new things that might work for me. So if you have an activity that's a morning must-have for you, please share!